The Buddhist faithful at a temple in Chainat in central Thailand have got so fed up with constant thefts that they have presented a stun gun to the abbot for his personal protection. 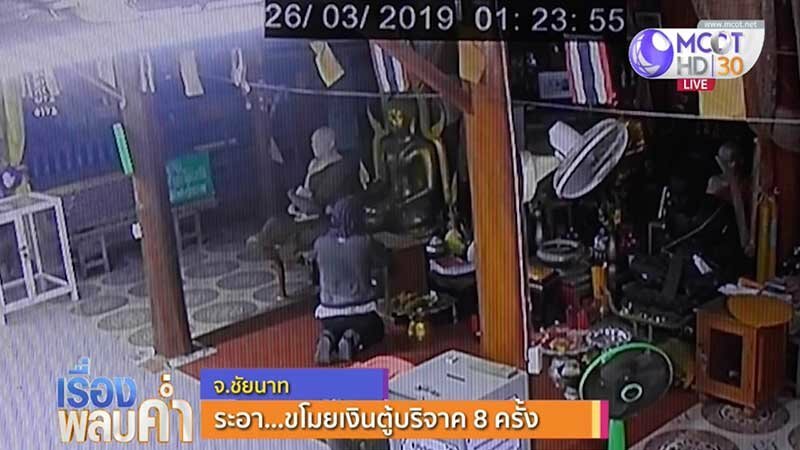 A man concealing his identity has stolen from the donation box at Wat Aranyik eight times since last October. The police have failed to make an arrest. In CCTV footage from Tuesday the thief stole 300 baht again. He also got away with two Buddhist gold statues. Now the parishioners have said enough is enough. With abbot Phra Atipanyo spending a lot of time alone in his quarters they have have donated a stun gun to him just in case. The abbot said if the man was desperate for money he could approach him for a donation. But stealing is a sin that would dog him for ever. A stun gun? Didn't know they were legal. If they are, I'll buy one for sure. Eight thefts since last October, I can see police are on top of this case! Monk with a Stun Gun; will Steven Seagal be starring in that movie?